In 1975 in a book he called From A to B & Back Again, Andy Warhol wrote “up until a year ago I was a real nobody in Italy. I was somebody-maybe-in Germany and England-which is why I no longer go to those countries-but in Italy they couldn’t even spell my name.” Warhol must have loved the fifties when he was a real nobody in New York. His only fame then came from his whimsical ink drawings of shoe advertisements that were done in a loose, blotted-ink style, and which were exhibited in his earliest showings at the Bodley Gallery in New York. In fact, the beginning of his meteoric rise to art world stardom came in 1962, with his fine arts debut at the Ferus Gallery. The leading figure in pop art spent the fifties as a young artist in New York, with on and off projects as a magazine illustrator and a designer of promotional materials for companies such as RCA Records. It was also during this time that Warhol designed book covers for publishers such as New Directions, Doubleday, Noonday Press and Simon & Schuster. Even during this early period of his career his dust jacket designs were produced through the use of innovative techniques akin to the printmaking techniques that made him famous. 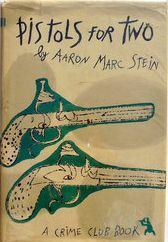 And so the story goes…In 1951, the young artist drew some Ink, graphite and tempera on paper drawings for the cover of a book by the name of Pistols for Two by Aaron Stein, which was published by the Doubleday Crime Club. 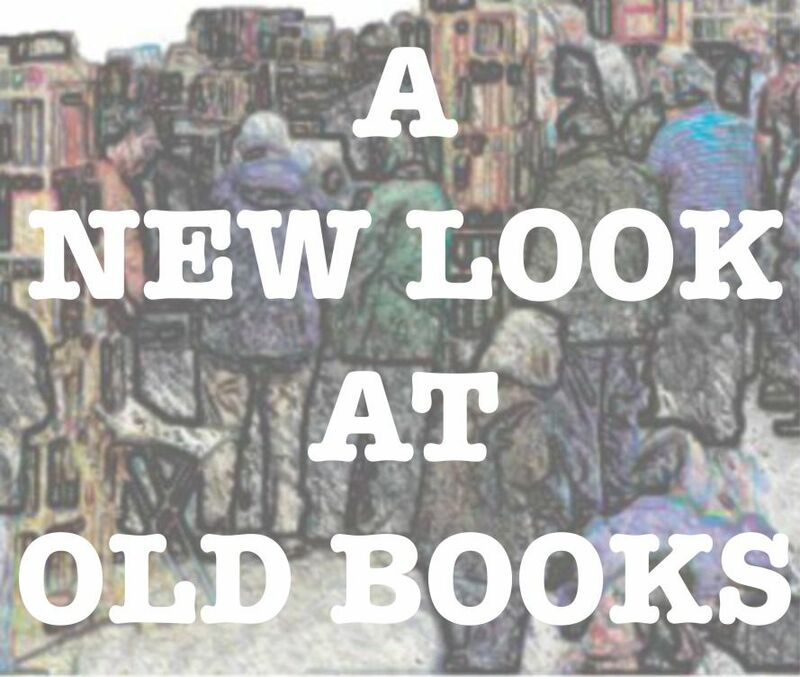 The original drawings are now selling for $25,000, while the book with a dust jacket Andy Warhol illustration can be purchased for as little as $300. The front flap giving the jacket artwork credits the work to Andy Warhaw, rather than Andy Warhol; an artistic abstraction perhaps. It was not until 1953 that the second Warhol Crime Club Selection, The Saint in Europe by Leslie Charteris was published. During that same year, New Directions Publishing Corporation released another Warhol cover for the book Three Novels: Vainglory, Inclinations, Caprice by Ronald Firbank. The dust jacket carries Warhol’s very large cherub cupid with a candy pink back scrawl. This is probably the most well known of the dust jacket works, and the only one from the New Directions titles that is still in print. 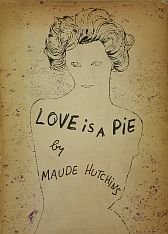 In the following two years, 1952-53 he designed at least two more covers for New Directions – The Desire and Pursuit of the Whole by Baron Corvo and Love is a Pie by Maude Hutchins. 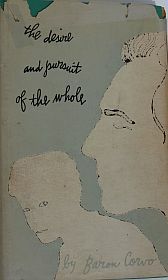 The latter contains no credits to Warhol for the beautiful front cover illustration, but New Directions documented the work as a Warhol contribution with his characteristic technique of applying ink to paper and then blotting the ink while still wet. 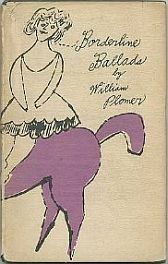 Borderline Ballads by William Plomer published by Noonday Press in 1955 is perhaps the scarcest contribution in this type of Warhol art work. For this book he designed the jacket as well as the titles of all of the poems, and he illustrated the title page. It marked the first time that the artist designed more than just the cover. His drawings did, however, find their way inside the pages in the following years with Amy Vanderbilt’s Everyday Etiquette in 1956 and the Best in Childrens series towards the end of the decade. 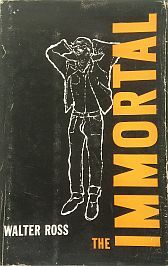 The only Simon & Schuster Warhol cover was produced for the 1958 The Immortal by Walter Ross, which featured a minimalist Warhol illustration, blotted ink style of a James Dean-esque character. 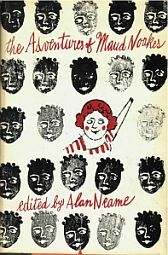 A safe play compared to the New Dimensions controversial jacket for The Adventures of Maud Noakes by Alan Neame in 1961, with front and back covers full of African faces around a smiling red-headed girl. This came a year before the end of Warhol’s “nobody stature,” and the beginning of his fame as the pop artist with the most valuable silkscreens including the 1963 canvas titled “Eight Elvises” that was sold for US$100 million in 2008. Cover Design by Andy Warhol. I have scans of the cover if you are interested.